Argentinians cooks for the famous carne mechada (shredded meat). eye of the round (Eye Round Roast). It is sold entero and maybe by the half. 2 cups of water – you can also use 1 cup of beef broth and 1 of water, or you may also add 1 cup of red wine to 1 cup of water. Cut in 1/2″ long slices, and slice them thin lengthwise. Mix the carrots slices with the crushed garlic and then add salt and pepper to taste. Heat the olive oil with the laurel leaves, so that the oil acquires the taste of the laurel. The meat is first sealed on all sides in the olive oil at high heat until it has acquired a golden look all around. Add a the water to cover 2/3 of the roast. Cook it slowly for at least one hour, until tender. Do not cover the pot. 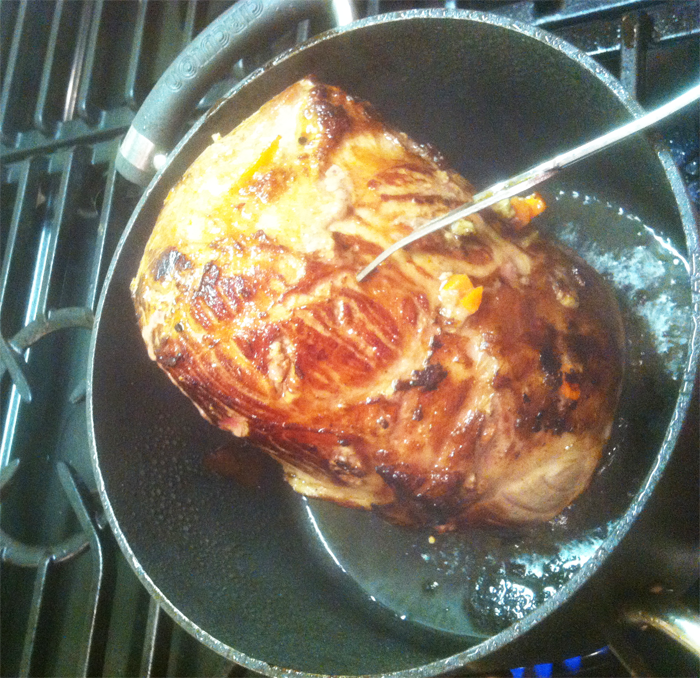 Turn the roast a couple of times while it cooks, to make sure it cooks evenly. Tastes best if you can use beef broth or red wine with the water. If you want the sauce a little thicker you can add a teaspoon of flour and stir. Do not cut until ready to serve, so that it preserves the juices. Serve with rice. The broth and be used as a base for tomato sauce (tuco) to pour over pasta. You can also make it one day in advance, leaving it in the refrigerator in order to serve it cold, with a salad.